Leo at age 4, with his father Leo senior, Fort Shaw, Montana. 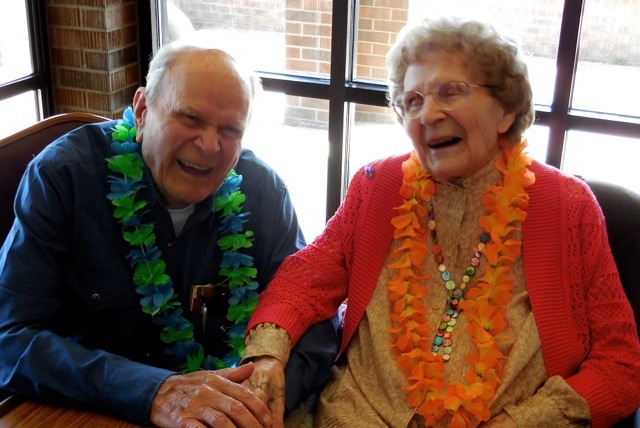 Leo sharing a joke with his sister at her 100th birthday. She survives him at 103. 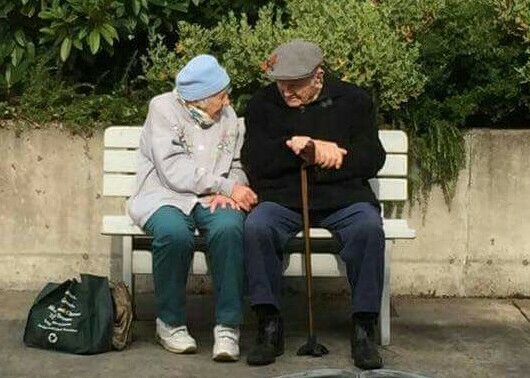 Leo in the village of Langley with his friend Helen Nobile who died at age 100 earlier this year. They were quite a noticed friendship around town helping each other age in place. Leo E. Baldwin was born in Great Falls, Montana, the seventh of eight children of Rev. Leo E. Baldwin, senior, and Mary Hart Baldwin. He was raised in Fort Shaw, Montana, where his father was the local Methodist pastor and his family operated Baldwin & Sons Beeline Honey, harvesting from 500 colonies spread in a 50-mile radius. Bees and beekeeping were a life-long passion and he could talk for hours about honey production and the amazing capacities of bees. Leo graduated from Willamette University in Salem, Oregon in 1942 and married Constance Anderson the following December. He filed as a Conscientious Objector in World War II and spent the war in alternative service, including volunteering for hypothermia and starvation experiments that helped save many military and civilian lives. In 1944, the US government and military, realizing that civilian populations in Europe were starving, laid groundwork for The Marshall Plan to rescue and feed people once the battles were over. However, doctors needed to understand the science for re-introducing protein into the bodies of starving people, and Leo volunteered to be a guinea pig. The decision to be a conscientious objector impacted his entire adult life, especially finding post-war employment. It wasn’t until recently that the role of conscientious objectors in WWII has been valued and their stories validated. After the war, Leo earned a Masters in theology from Drew University, Madison, NJ. With two young children in tow, the family moved to Illinois and then to Indianapolis where Leo was a parish minister, a social worker in the inner city, and a fundraiser for the Indianapolis Hospital Campaign. In 1955, he was hired to take on the Minneapolis Hospital Campaign and moved the family to Minnesota. Starting in the early 1960s, Leo was a pioneer in the field of senior housing, working with the Minnesota Council of Churches and later with his own consulting firm. He and Connie divorced in 1975 and Leo moved to Maryland to work with AARP at their national office in Washington DC. He helped to shape AARP as a consolidated organization, became a national expert in housing and supportive services for older and disabled people and started the Widowed Persons Service within AARP. He met a widow, Marion Lowe, and was married to her from 1977 until her death in 2006. In August 2006, Leo moved to Whidbey Island to be close to his daughter and return to village life. 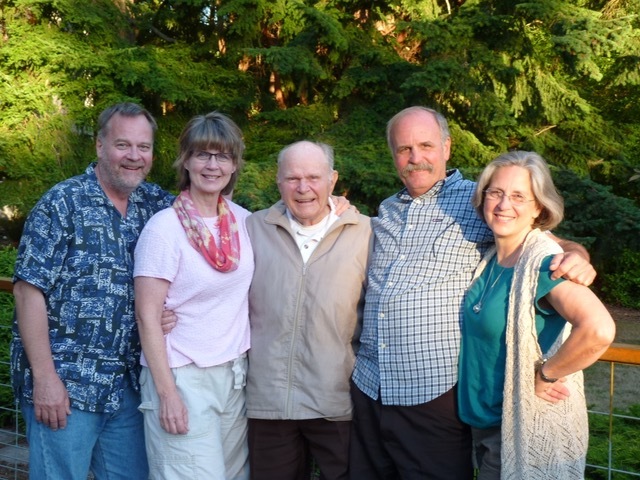 Though 86 years old, he brought incredible knowledge, perspective, and energy to his South Whidbey life. 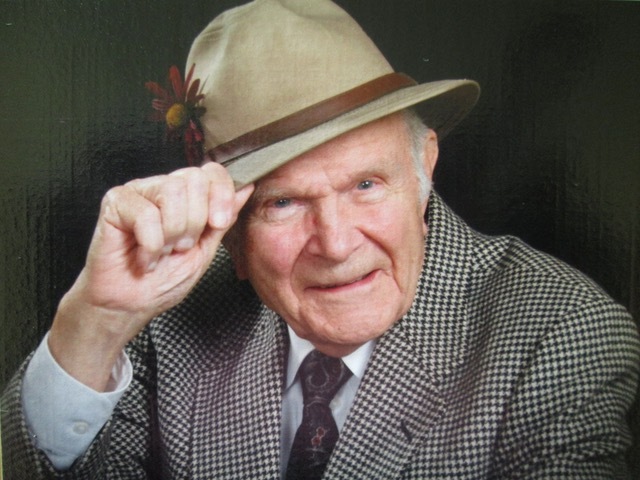 He served on boards, volunteered, and contributed mightily to Saratoga Community Housing, Creekside Terrace Condo Association, Langley United Methodist Church, and Island Senior Resources Board of Directors. His mind remained vibrant and he kept well informed about professional interests, current affairs, and issues of justice. He was a social theorist throughout his life and enlivened many conversations: he also enjoyed story telling, corny jokes, and making people laugh. Leo Baldwin was a well-known and friendly figure around Langley who loved to pause and talk to anyone. The Commons on Second Street was his living room, where he had a cuppa drip and played Quiddler (card game). The meal service at Brookhaven was his cafeteria and cribbage tournament headquarters. He was a gentleman and friend to Helen Nobile until her death in January 2018. His wit, his smiles, bright blue eyes and attentiveness will be greatly missed. He is survived by one sister, Frances Zimmer (age 103), his four children and their spouse/partners: Christina Baldwin & Ann Linnea, Freeland WA; Carl & Colleen Casey Baldwin, Green Valley, AZ; Becky Baldwin Dougherty & Dan Dougherty, Brooklyn Park, MN; Leo Eric Baldwin & Kathy Rickard, Anchorage, AK. He is grandfather to Kyle Dougherty, Bryn Dougherty, Colleen Dougherty Vickers, Erin Baldwin, Alicia Baldwin, Brandyn Baldwin, and great-grandfather to Reilly James Baldwin and Leo Christopher Vickers. He is the step-grandfather to Sally Schimpf & Joe Villarreal and their children, Jaden and Sasha. MEMORIAL SERVICE: Langley United Methodist Church, FELLOWSHIP HALL, 1:00 PM, SATURDAY NOVEMBER 17, 301 Anthes Ave., Langley, WA. There will be a family gathering in Montana next summer for scattering ashes and telling stories. Please make memorials to Island Senior Resources, 14594 SR 525, Langley, WA 98260 or a cause of your own passion. Celebrate his spirit by smiling at the next stranger in your path. Please make memorials to: Island Senior Resources, 14594 SR 525, Langley, WA 98260 or a cause of your own passion.